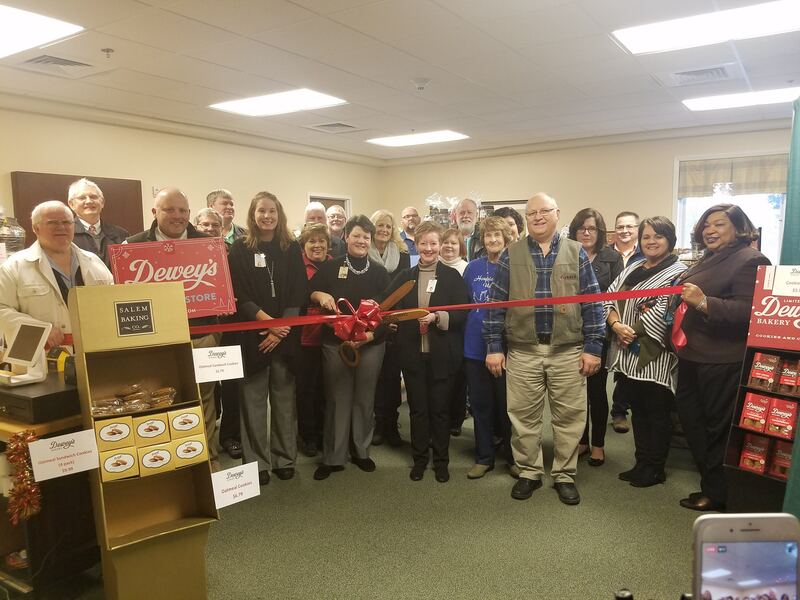 A Countywide Ribbon Cutting was held at Hospice of Rockingham County on Thursday, November 15th to celebrate the Grand Opening of their “Dewey’s Holiday Bakery”. The Bakery will be open through December 23rd with the exception of Thanksgiving Day. 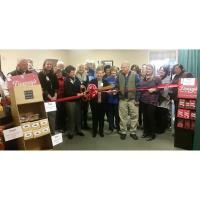 The Holiday Store will be located in the Community Room of HRC's Hospice Home. 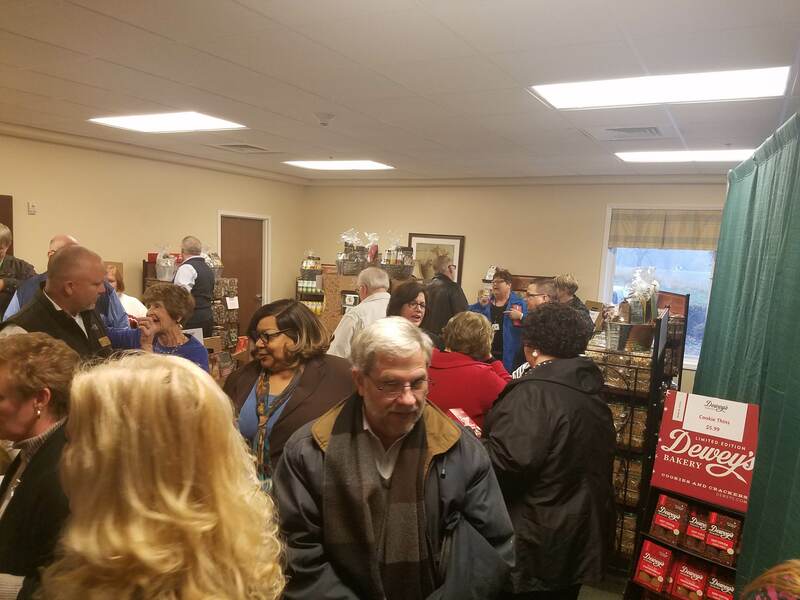 The Holiday Store will help HRC raise money to provide care to uninsured patients while also providing a convenient local opportunity to shop for fresh-baked holiday treats. 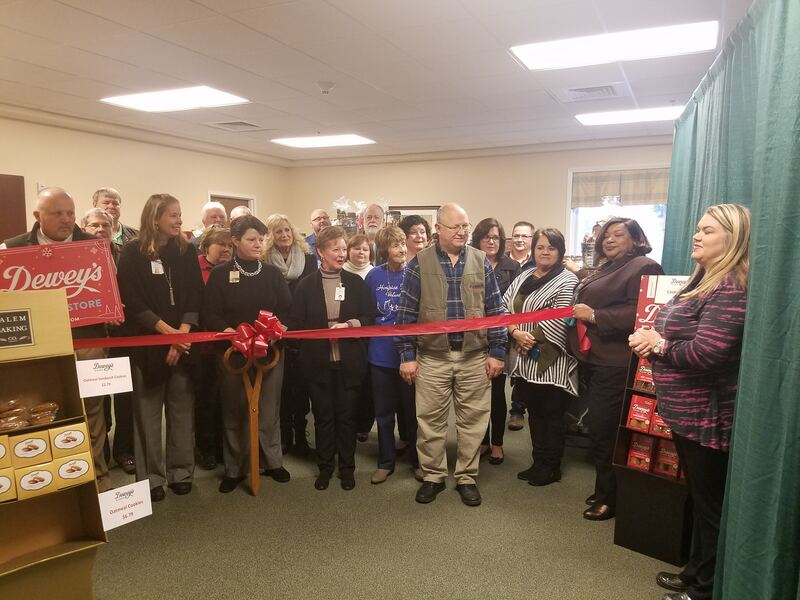 Hospice of Rockingham County has never turned a patient away. Stop by and see them this Holiday season at 2150 NC Hwy 65 in Reidsville. You can also order online by going to www.deweys.com and enter “30-18” in the coupon code section and Hospice will receive credit for your order!